Prior to joining Stevens Strategy, Tom Emmet developed state-of-the-art policy manuals for all segments of Medaille College, including Board Bylaws, Faculty Handbook, Personnel Handbook and General Policies and Procedures. 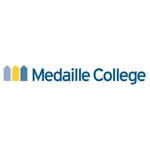 Medaille wished to complete the Faculty Handbook portion of the manuals with the approval of the Board, Administration and Faculty on a particular time-line to respond to AAUP proceedings. I was delighted with the services provided by [Tom and his team]. The wise counsel that Tom and Elise provided throughout the process was invaluable. Tom’s and Elise’s willingness to put our project ahead of others so that we could meet our very important deadlines were much appreciated. Tom’s willingness to spend countless hours meeting with faculty representatives helped enormously and significantly contributed to the project’s success.